I went on a little shopping trip to West Elm this weekend with my best friend, Kelsey. They were having a super sale! I scooped up two Luxe Window Panels (48x108) for only $20/each, originally priced at $70/each. 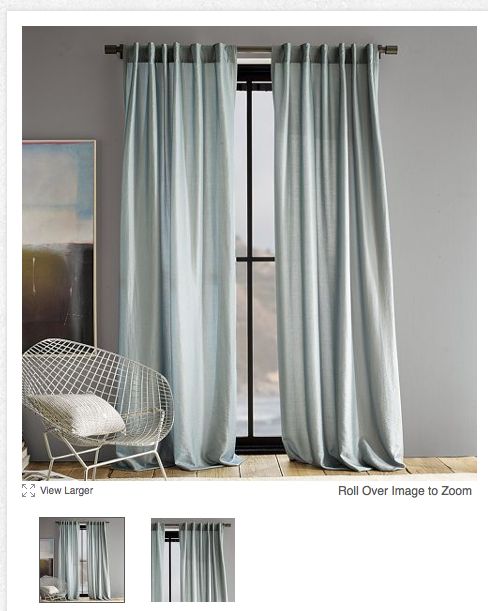 It brought back memories of the awesome bargain I got on the West Elm ikat curtains last year. Those were an even better deal– only $18/each! I got the really pretty blue/green/grey color shown below. These beauties are the color of our master bedroom walls and match the pillows on our bed perfectly! I plan to layer them with the existing basic white Ikea curtains to create a more luxurious look. Kelsey came home with a little treasure for herself, too. She recently moved into the cutest little cottage and was looking for extra seating for her living room. She needed a chair with a smaller scale to fit inside her small living room. 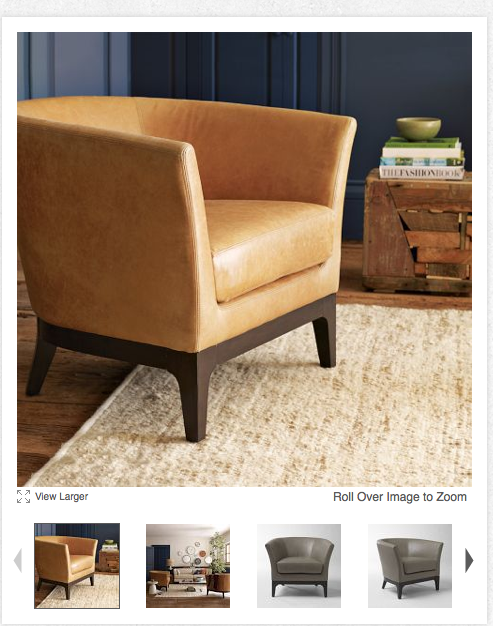 West Elm had a bunch of furniture on sale (floor samples, I think), so she scored this really cute leather occasional chair for only $200 (down from $600). Hers is chocolate brown leather. Pretty great deal for a solid piece of furniture! You may want to cruise by your local West Elm to see if they have any great deals. One of the workers told us they have to do inventory soon and are trying to push out a lot of stuff. It may be your lucky day!